Also, I wanted to do another vlog post, but I just haven't had much time and a lot of these are ebooks. Thanks HarperCollins, Flux, Poppy, Amber and NetGalley for all the great review books! There are so many good books to read out there, which ones did you guys get? So jealous of Everneath, Hallowed and Slide! I just read HALLOWED this week, and WOW - it's soo awesome. I'm sure you'll like it! :) I also can't wait to read Everneath and Slide - they sounds absolutely awesome as well. You got a bunch of great books. I need to read Unearthly and Hallowed soon! I am very excited for Slide and Kiss of Frost, and Everneath was wonderful! Hope you enjoy your books! Love the cover for Everneath. Great haul of books. Old follower. Come visit me as well. Hallowed, Everneath, Slide! Wow, so many awesome-looking books! I can't wait to read Everneath and Slide! I hope you enjoy everything this week, come check out my IMM! I hope you enjoyed Hallowed, I am jealous! I'm also going to have to go and chaeck out Queen of Kentucky. I haven't seen The Help yet, I'm trying to hold out until I read the book. I haven't seen/heard about any of those books, I think I'm going ot have to look them up. Happy readings! So many great books! I can't wait to get started on Everneath & Hallowed. Ohhh I'm really excited to read Everneath :)) It looks reallyyyy good!! I can't wait to start :) And Hallowed is AMAZING!!! ENJOY! omg!! i actually squealed at the books you got! Everneath, queen of kentucky, slide, the one that i want!!!!! i am DYING for these books!!! Great haul! I can't wait to read The One That I Want! Enjoy your books! But fo' serious though, Hallowed, Everneath, Slide, Kiss of Frost...you hit the jackpot this week! I can't wait to read Everneath!! 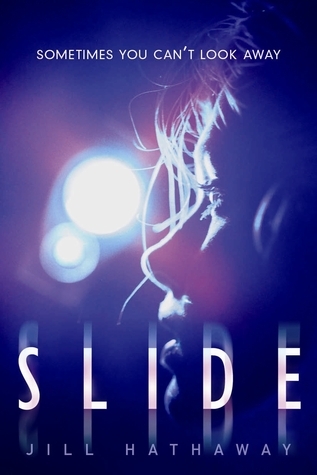 I also got Slide I'm really looking forward to it! Awesome haul! I was in a hurry today at the bookstore when I was getting some books for this week, and I ran right past The Help! I really wanted to turn around and go get it, but I didn't have time! :( Great IMM this week! I love, love, LOVE your IMM. Hallowed! Everneath! Slide! ooooh so many lovelies!